For those who grew up in the ‘90s, you probably remember the now defunct Plymouth for its Voyager minivan. 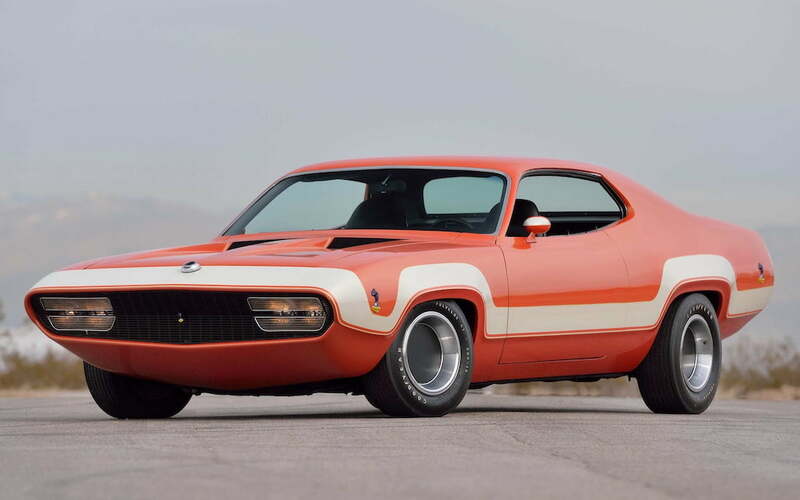 For those who grew up in the the late ‘60s, that’s akin to heresy, because what the brand should be remembered for is the Road Runner, Barracuda and GTX, three of the most attainable models of the muscle car’s heyday. 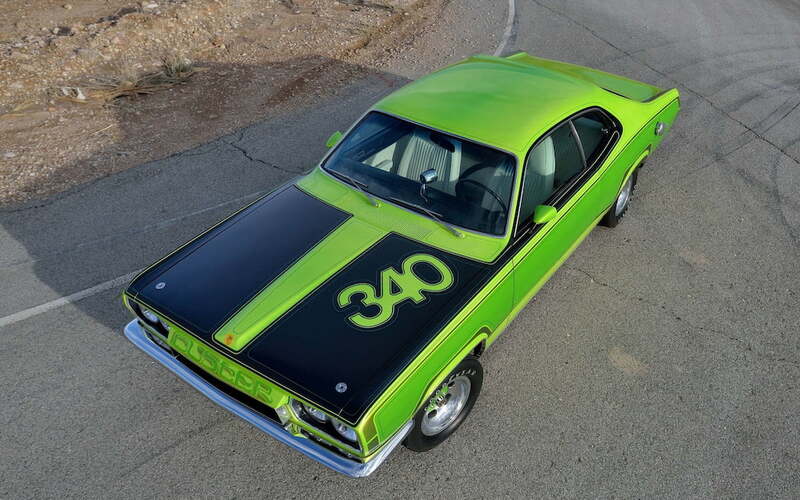 Now’s your chance to become a steward of the marque’s legacy, because three concepts from Plymouth’s prime are headed to Mecum’s Indy auction this May, including a 1970 Duster, 1971 Road Runner and 1971 Hemi Road Runner. All three were part of the company’s Rapid Transit System Caravan, a traveling display that brought the custom drag racers across the country to promote the RTS lineup. 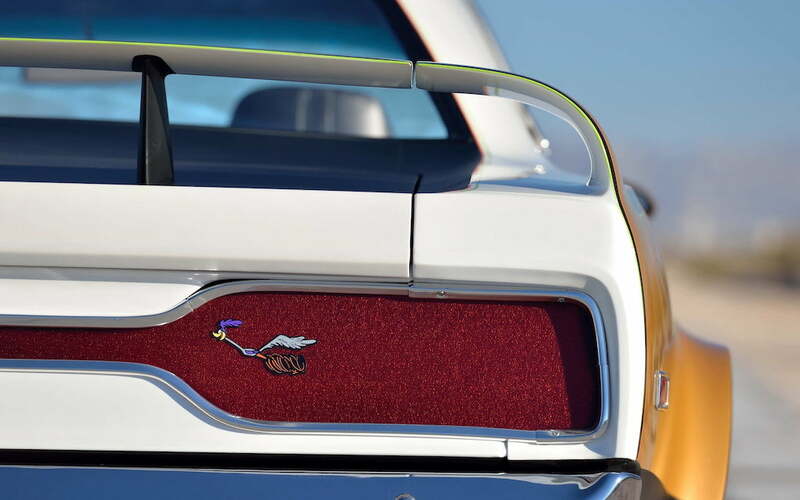 The dog-and-pony show was highly successful, leading to good sales before the bottom fell out of the muscle car craze, but these three models are one-of-a-kind. The “possible crown jewel,” according to Autoblog, as it’s unrestored with an odometer clocking in at just 1,300 miles. 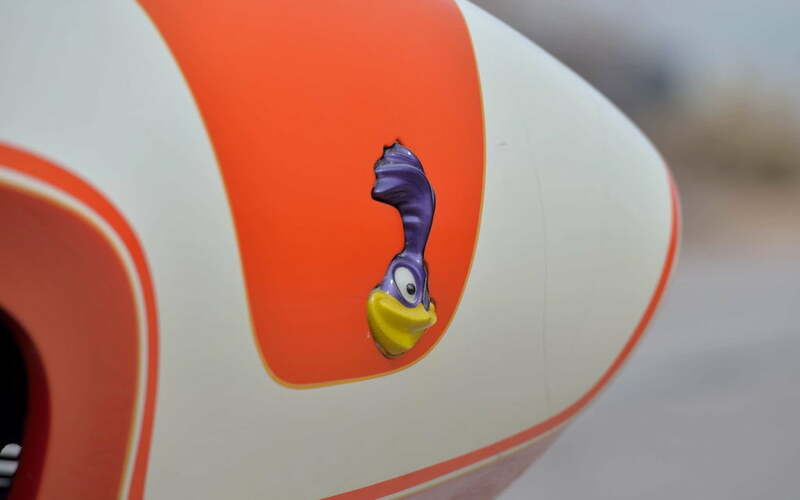 It’s nicknamed “Chicken Head” for the three-dimensional Road Runner heads on each corner, but the cartoon carries over into the horn as well, which makes a “Meep! Meep!” sound. When this car was rediscovered in 1995 after being abandoned in a Detroit parking facility in 1982, a machete, spare bullets and women’s undergarments were found in the trunk. Fortunately (or unfortunately? 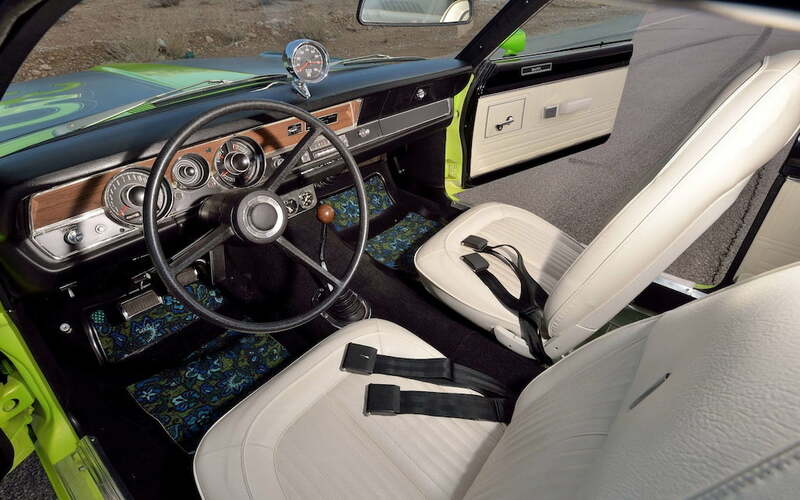 ), it’s been restored to its 1971 configuration. 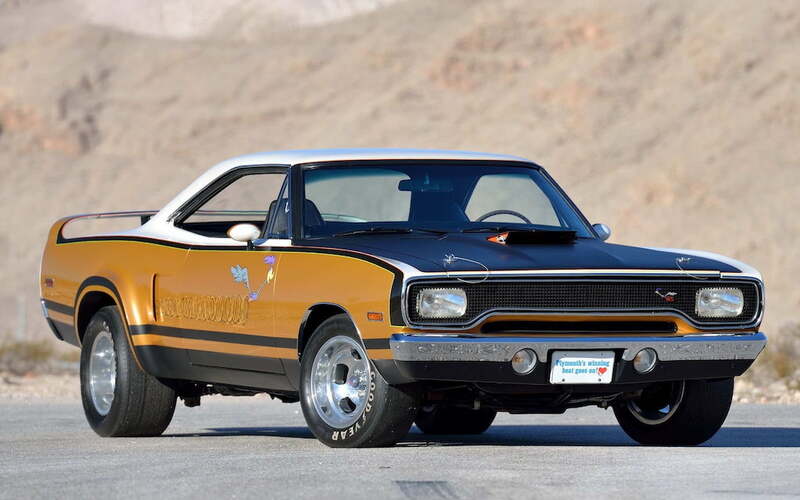 The most powerful of the bunch (with a “King Kong” 426 Hemi V8 engine) and also the most eccentric (with Road Runner graphics painted on each side). 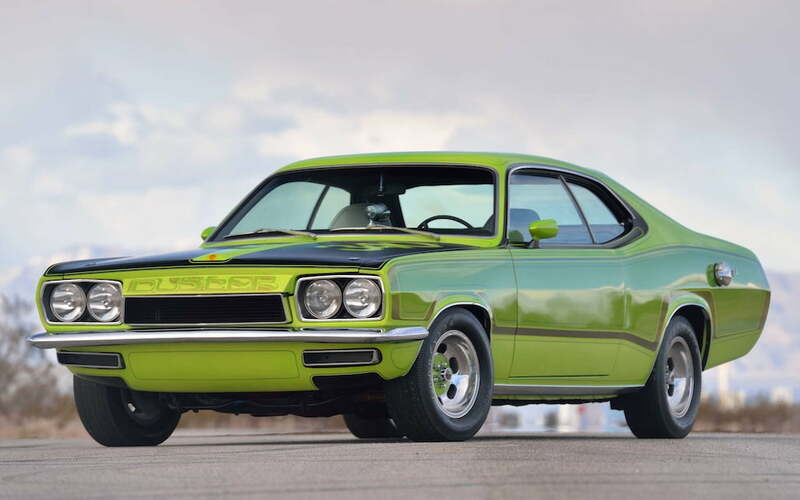 If you don’t have a soft spot for Plymouth, Mecum’s Indy auction includes around 2,000 vehicles in total, and these three specifically are just a fraction of a larger estate collection from the late Steven Juliano, which also includes four rare Shelby Cobras.